1. 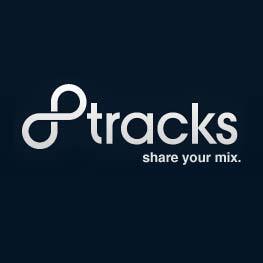 Go to 8tracks.com and create an account. It's free and takes very little time. Once done, you'll be able to upload your own music and create your own playlists to either share or for your own personal edification. Or you never have to create a playlist but can still search through other "DJs" and their playlists. I can't tell you how much great music I find via this type of sharing. Well I guess I could, but we really don't have time for that now. 2. Once you've created an account, go to my profile--8tracks.com/robrobriot--and "Follow" me by clicking that large "Follow" button. 3. Download the app via the iTunes App Store. Search for 8tracks Radio and install. It's free. 4. Once installed, log in and you're good to go. When you launch the app, a menu of options will open that will allow you to find mixes in a variety of ways. If you click on "Mix Feed", you'll have all playlists by 8tracks users you follow readily accessible--which means that if you're following me, you'll have quick access to all of my playlists (you're welcome). If you "Like" particular playlists--which you can do on the website or on the app by clicking on the heart icon--those playlists are available to you by clicking on the "Liked" icon. 5. The app also allows for easy sharing of playlists via the Twitter app as well as the ability to share via Facebook. I'm sure the app will continue to evolve as all apps do, but this is a pretty sweet start. So go for it. I hope this makes the playlists I create for you much easier to enjoy. But most importantly, I hope this makes it easier for all of you to discover and listen to great new music. New Playlist of the Week coming soon. Later, gators.